In the last fifteen years, the introduction of plane or diverging wave transmissions rather than line by line scanning focused beams has broken the conventional barriers of ultrasound imaging. By using such large field of view transmissions, the frame rate reaches the theoretical limit of physics dictated by the ultrasound speed and an ultrasonic map can be provided typically in tens of micro-seconds (several thousands of frames per second). Interestingly, this leap in frame rate is not only a technological breakthrough but it permits the advent of completely new ultrasound imaging modes, including shear wave elastography, electromechanical wave imaging, ultrafast doppler, ultrafast contrast imaging, and even functional ultrasound imaging of brain activity (fUltrasound) introducing Ultrasound as an emerging full-fledged neuroimaging modality. At ultrafast frame rates, it becomes possible to track in real time the transient vibrations – known as shear waves – propagating through organs. Such "human body seismology" provides quantitative maps of local tissue stiffness whose added value for diagnosis has been recently demonstrated in many fields of radiology (breast, prostate and liver cancer, cardiovascular imaging, ...). Today, Supersonic Imagine company is commercializing the first clinical ultrafast ultrasound scanner, Aixplorer® with real time Shear Wave Elastography. This is the first example of an ultrafast Ultrasound approach surpassing the research phase and now widely spread in the clinical medical ultrasound community with an installed base of more than 1000 Aixplorer systems in 54 countries worldwide. 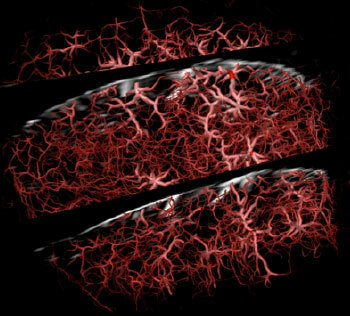 For blood flow imaging, ultrafast Doppler permits high-precision characterization of complex vascular and cardiac flows. 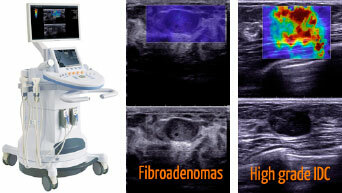 It also gives ultrasound the ability to detect very subtle blood flow in very small vessels. In the brain, such ultrasensitive Doppler paves the way for fUltrasound (functional ultrasound imaging) of brain activity with unprecedented spatial and temporal resolution compared to fMRI. Combined with contrast agents, our group demonstrated that Ultrafast Ultrasound Localization could provide a first in vivo and non invasive imaging modality at microscopic scales deep into organs. Many of these ultrafast modes should lead to advancements in prevention, diagnosis, and therapeutic monitoring. 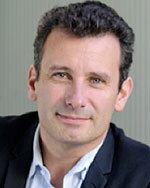 Mickaël Tanter, Ph.D., is Research Professor of the French National Institute for Health and Medical Research (INSERM). For nine years, He is heading the Inserm laboratory U979 “Wave Physics for Medicine” at Langevin Institute, ESPCI Paris, France. His main activities are centered around the development of new approaches in Wave Physics for medical imaging and therapy. His current research interests a wide range of topics: Elastography using Supersonic Shear Wave imaging, Ultrafast ultrasound imaging, HIFU and more recently the concept of fUtrasound (functional ultrasonic imaging of brain activity). He is the recipient of 33 world patents in the field of ultrasound and the author of more than 180 peer-reviewed papers and book chapters. M. Tanter is Associate Editor, member of the scientific and administrative boards of IEEE Ultrasonics. In 2006, he co-founded Supersonic Imagine, an innovative French company positioned in the field of medical ultrasound imaging and therapy, that launched in 2009 a revolutionary Ultrafast Ultrasound imaging platform called AixplorerTM with a unique real time shear wave imaging modality for cancer diagnosis (>140 employees, 152 M€ venture capital, and more than 1000 ultrasound systems already sold worldwide). He received twelve scientific prizes (among them the Frederic Lizzi Early Career Award of the International Society of Therapeutic Ultrasound, Montgolfier Prize of the french National Society for Industry valorization, the Leon Brillouin Prize of the Institute of Electrical and Electronics Engineers (IEEE) and SEE society, the Yves Rocard prize of the French Society of Physics (SFP), the Sylvia Sorkin Greenfield Award of the American Association of Physicists in Medicine for the best paper published in Medical Physics in 2011, the Grand Prize of Medicine and Medical Research of Paris city and the Honored Lecture of the Radiology Society of North America in 2012. He was recently awarded a European Research Council (ERC) Advanced Grant to develop fUltrasound applications.